Take 2 capsules 1 to 2 times per day or as directed by your qualified health care professional. Hyaluronic Acid provides the fluid matrix for joint lubrication, skin hydration and skin repair. Jarrow Formulas Hyaluronic Acid is a low-molecular weight preparation derived from biological fermentation. It is clinically documented to be bioavailable and to improve hydration of the skin. 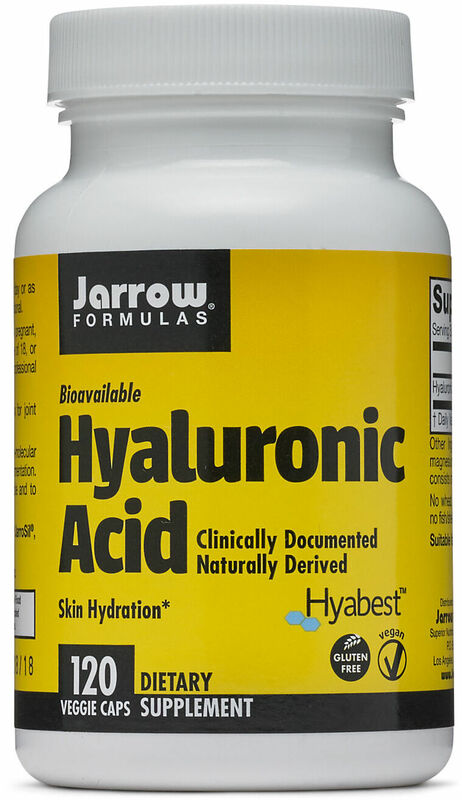 For best results, use Jarrow Formulas, JarroSil, the biologically Activated Silicon. Take 2 capsules 1 to 2 times per day, or as directed by your qualified healthcare professional.